His 2011 book, Hiring and Firing Public Officials: Rethinking the Purpose of Elections (also from Oxford University Press), argues that competitive elections are paradoxically unhealthy for democracy because they are not analogous to competitive markets. Rather, they are poor ways of hiring and firing people. Tossing a coin to decide whether or not to fire an employee is a bad way to operate, for a business or a country. Professor Buchler’s articles on electoral competition include “The Social Sub-optimality of Competitive Elections,” in Public Choice, which won the Gordon Tullock Prize for 2007. Currently, Professor Buchler’s research also addresses the asymmetric nature of partisan conflict, and the burden it places on journalism. 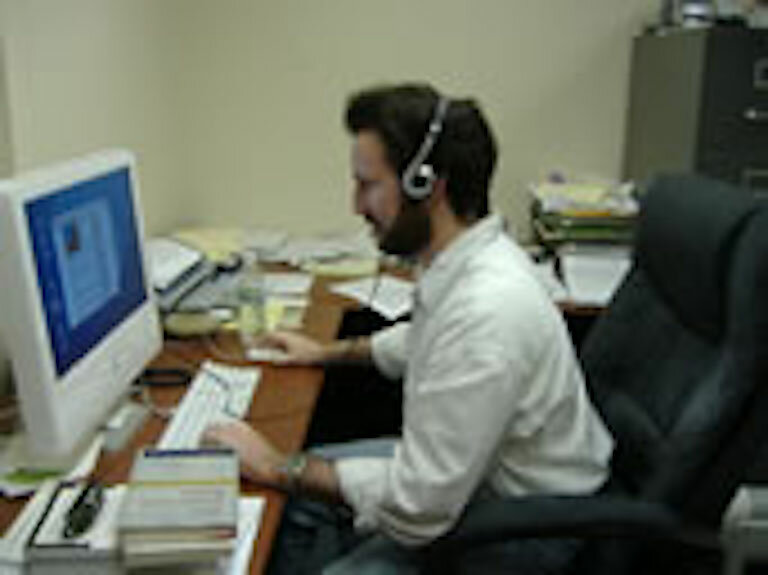 Professor Buchler currently blogs at theunmutual.blogspot.com. Capstone projects for Professor Buchler must present and test a “falsifiable hypothesis.” The hypothesis must be derived from existing Political Science literature. Students can conduct the project in one of two manners. Students may either propose to test the hypothesis in a manner that is at least somewhat different from existing research in order to add to existing scholarly understanding, or students may propose a “replication” study of a specific, existing article published in a peer-reviewed journal. In either case, students must have a proposal consisting of the hypothesis, why the hypothesis is substantively interesting, and a plan to gather and test the data. Projects need not be quantitative, although given Professor Buchler’s expertise, that has been the norm. Exceptions to these rules, such as a game theory project, may be considered, but only if Professor Buchler is contacted well in advance of the start of the semester. Students should be able to demonstrate that their projects will meet these requirements prior to the beginning of the semester during which they intend to write the capstone, and should contact Professor Buchler prior to the beginning of the semester. Do not wait until after the semester starts, and certainly do not wait until the second week of the semester to contact Professor Buchler about a capstone project. Proposals that do not meet guidelines will not be approved, and if students do not contact Professor Buchler with sufficient warning time, there may not be enough time to revise the proposal before the end of the add/drop period. Asymmetric Polarization and Asymmetric Models: Democratic and Republican Interpretations of Electoral Dynamics – Delivered at the 2015 Annual Meeting of the Midwest Political Science Association, Chicago, IL. Buchler, Justin, Going off the Rails on a Crazy Train: The Causes and Consequences of Congressional Infamy, The Forum, Volume 9, Issue 2, 2011. Buchler, Justin, The proximity paradox: the legislative agenda and the electoral success of ideological extremists, Public Choice, Volume 133, April 2010. Buchler, Justin, The Statistical Properties of Competitive Districts: What the Central Limit Theorem Can Teach Us about Election Reform, PS: Political Science and Politics, Vol. 40, No. 2, April 2007, pp.333-337. Buchler, Justin, Competition, Representation, and Redistricting: The Case Against Competitive Congressional Districts,Journal of Theoretical Politics, 17(4): 431-463. Buchler, Justin, The Social Sub-Optimality of Competitive Elections, Public Choice, Volume 133, December 2007.